The demand for car phone chargers is increasing as it provides a lot of benefits. 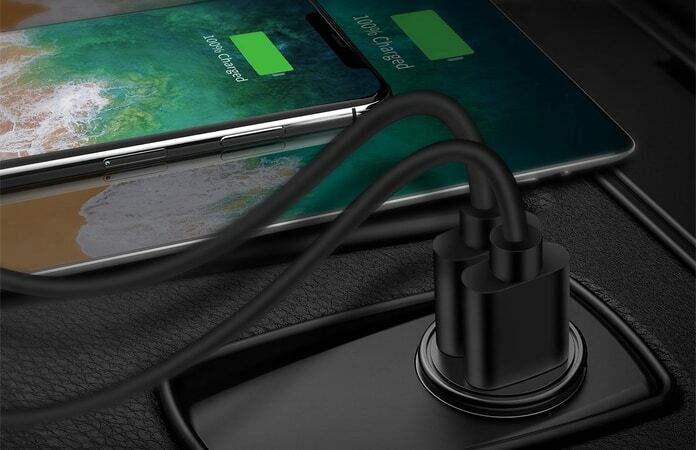 Various companies are manufacturing different kind of car chargers which you can use to charge your iPhone X, iPhone 8 and other models quickly. Such car phone chargers provide you ease to charge the phone while you are driving to anywhere and in a hurry. You don’t need to stay at home to wait for full battery charging as you can charge it in your car. 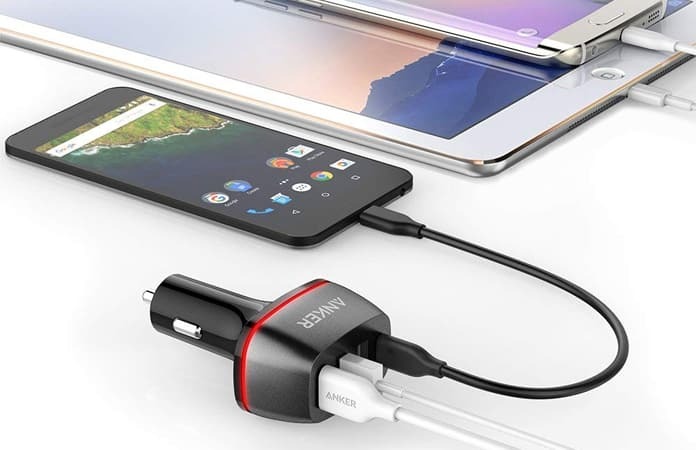 So, we are providing you the complete details about ten best car chargers which can be used in your vehicle to charge your iPhone, iPad or Android devices. Continue reading if you want to learn which are the best car chargers for iPhone and iPad. Anker 54W PowerDrive+ 4 is a brilliant charger which is famous for its fast charging. It charges your phone at 54W, and your phone gets charged much soon as compared to other chargers. Additionally, its big advantage is that you can charge four devices at the same time without any disturbance. Its three USB-A ports and one USB-C enables you to charge a different kind of devices without any issue. You can buy this charger at the cost of $29.99, and it comes with the warranty of 18 months. 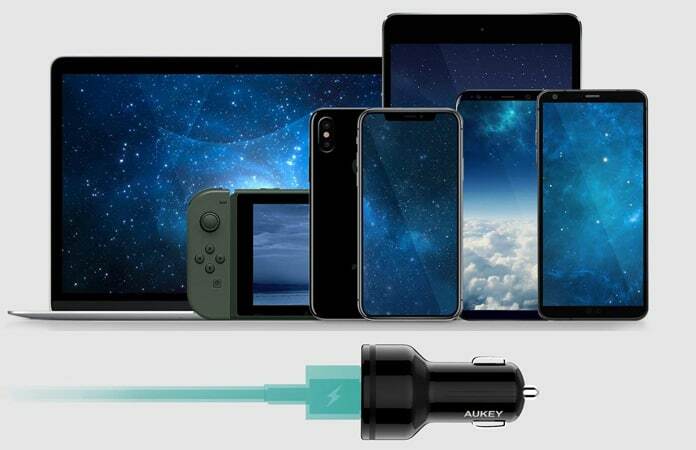 Aukey 27W PD charger is the best charger when you want to charge your iPhone quickly. It comes with USB-C port and USB-A ports which allow you to charge other handy devices too when needed. Additionally, it is safe and does not harm the average battery life. This is all because of its safeguards features which control the voltages and provide complete protection. The cost of this powerful charger is only $16.59. 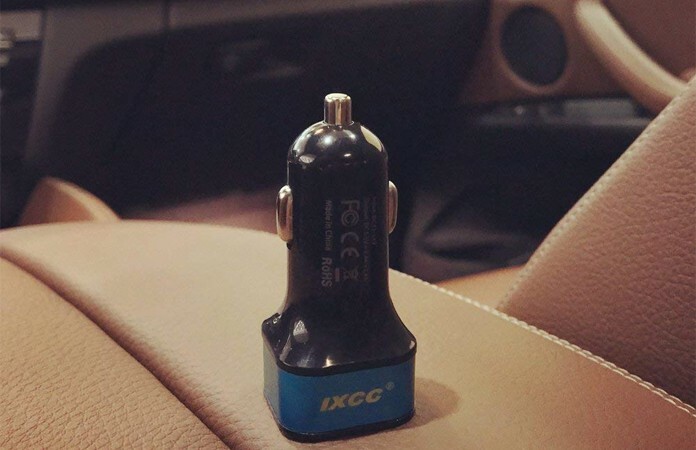 As indicated by the name, the iXCC Fast car charger is the fastest charger to provide your iPhone with required energy. You can connect two devices at the same time and its charging unit, and it does not affect the charging speed. This charger can also control the issues of overheating, and excess current flow. This charger comes with the warranty of two years. Sngg PD car charger is an excellent choice if you are looking for a stylish charger at low cost. This charger has the body of gold and white color and also has a blue LED. It is a high-quality charger which has USB-C port and a 2.4A USB-A port for charging. You can get this charger at the cost of $8.99. 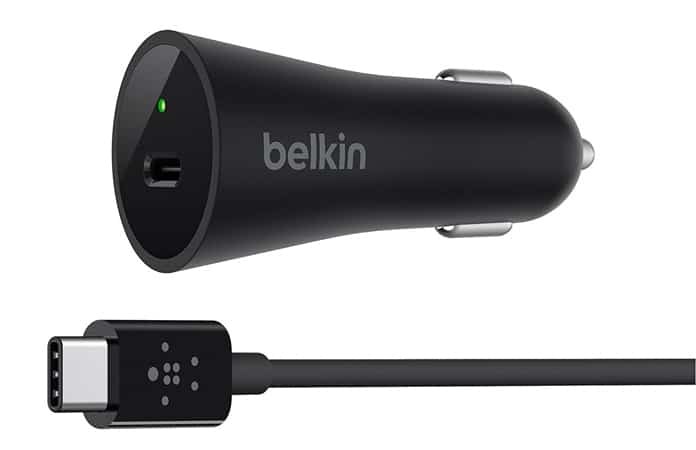 Belkin charger is a great charger which can charge your iPhone in your car by connecting it with its USB-C port. You should know that you have to arrange a USB-C to Lightning cable for quick charging of your iPhone X and iPhone 8. You can easily charge other devices like MacBook Pro using this charger in your vehicle. The cost of this charger is $39.99. Ainope dual port car charger is another charger in the top list. You can surely choose this charge for fast charging in your busy days. Its size is small but provides you high and fast speed of charging your iPhone. You can quickly optimize the speed of charging depending on the needs of the connected device. Its price is $12.99. 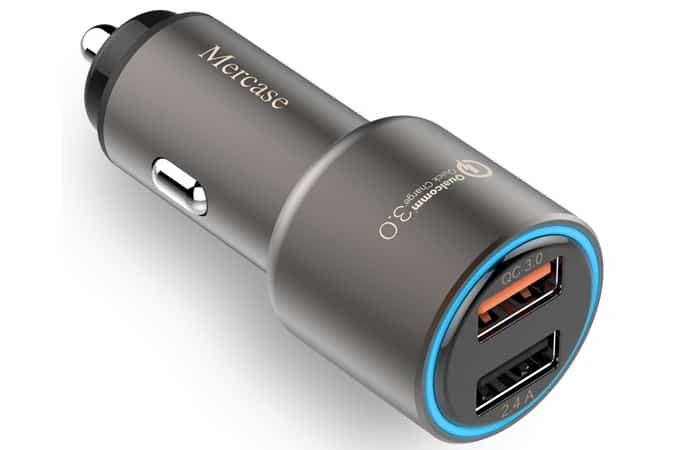 Mercase quick charge is a car charger which lets you charge your Android and iPhone in your car. You can charge any device in a fast manner. This charger is integrated with Qualcomm Quick Charge 3.0 technology which is advanced and controls the power supply. 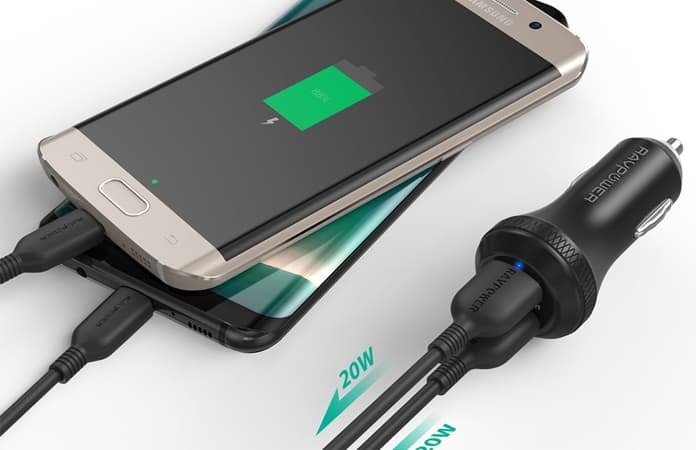 This technology charges your phone at much higher speed than the standard charger. The cost of this charger is only $12.99. 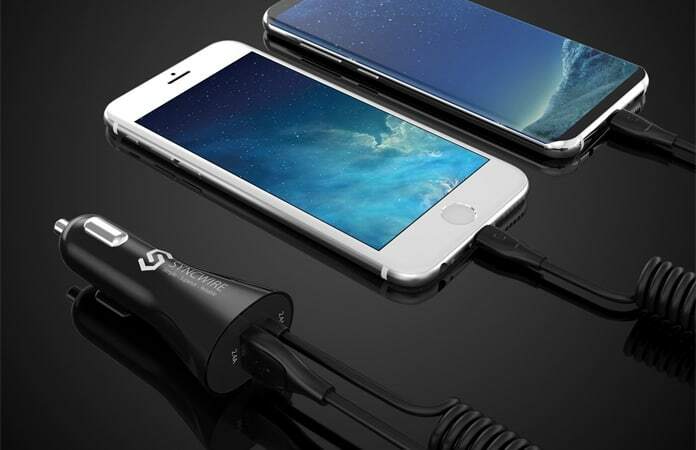 This iPhone USB Car Charger Syncwire is a wonderful charger which can efficiently fulfill the energy needs of your iPhone X and iPhone 8. 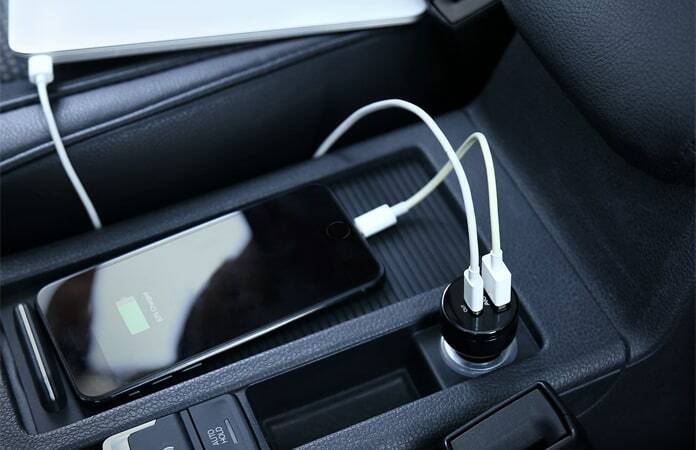 You can efficiently use this charger in your car when you are driving. There is only one USB port on it which is used to charge any kind of devices. The amazing thing is that you would get a free replacement guarantee if there are issues in your purchased charger. The price of this charger is $14.99. Purchasing RAVPower charger would be a great deal when you need to charge your iPhone in your car. It comes with USB-C port and a “smart” USB-A port. Its design is very attractive, and you cannot find such a reliable charger at low cost. The cost of this charger is only $12.99, and it can save you enough time by charging your iPhone or Android devices quickly. 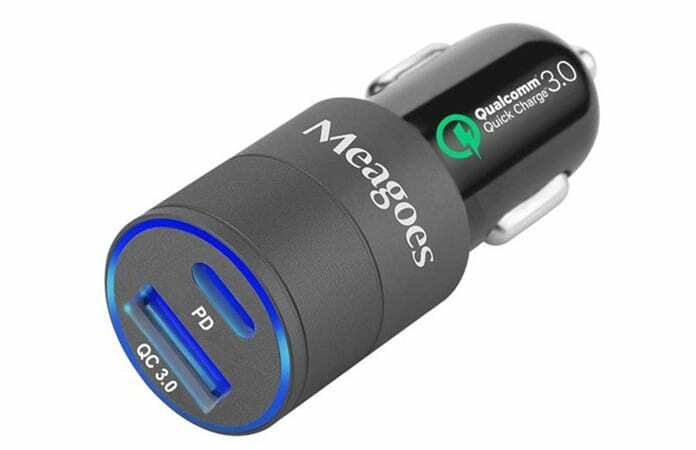 Meagoes car charger adapter is another fabulous charger to meet your needs of fast and secure charging. It comes with PD USB-C port and a Quick Charge 3.0 USB-A port and supplies the power to your iPhone or Android device. Its LED charging indicator is very useful because it indicates the status of charging and you can find it in all situations. 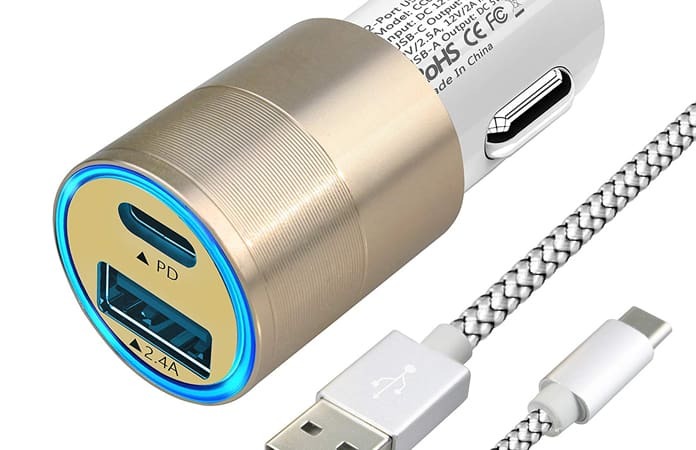 You can get this car charger at the cost of $13.99. So, which one of these chargers you liked the most? Don’t forget to share your opinion about the best car chargers in the section below.